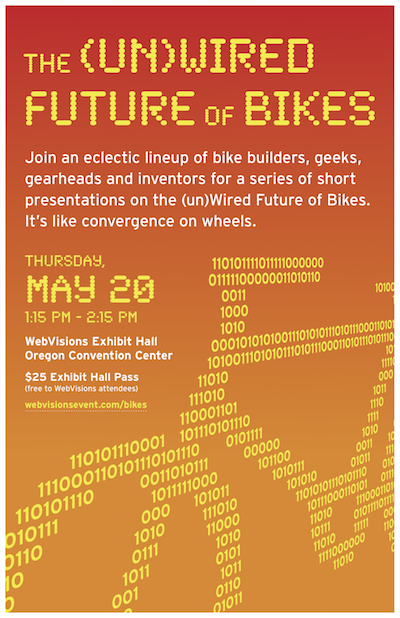 Join an eclectic lineup of bike builders, geeks, gearheads and inventors for a series of short presentations on the (un)Wired Future of Bikes. It’s like convergence on wheels. To attend all of Webvisions and our Bike event, use this discount code or just get into the Exhibit Hall and our Bike event for $25.00. 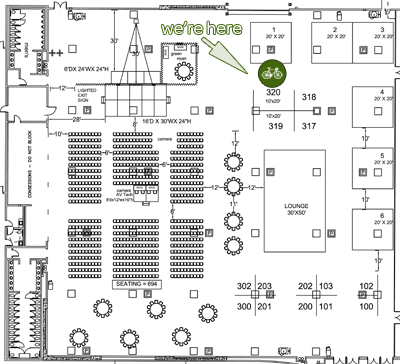 We’ll have a bike shop setup in the Expo area where we’ll blog, make media, and hang out. We’re finalizing our speaker lineup, but if you’ve got something really good let us know and maybe we can get you in. We ride wherever we go and riding in Portland in a Gowalla style Mobile Social. We’ll announce those details soon and hope you join us. We’ll have shwag, prizes, and fun.